Comments: The Terrace is a Victorian-style residence on Scottsville's Jackson Street, built in 1897 by Dr. and Mrs. David Pinckney Powers. 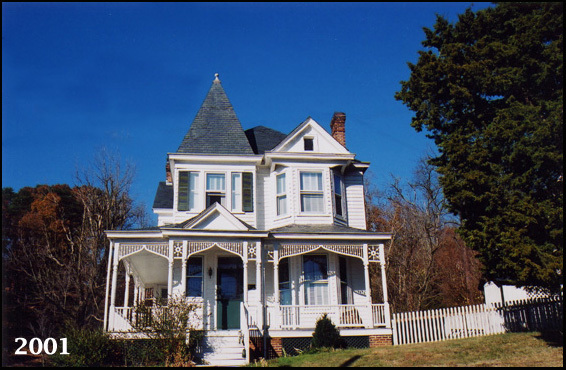 Later The Terrace became the home of Miss Susie Blair after her retirement as a Professor of Speech and Drama at Hollins College. Susie was the grand- daughter of the Dr. and Mrs. 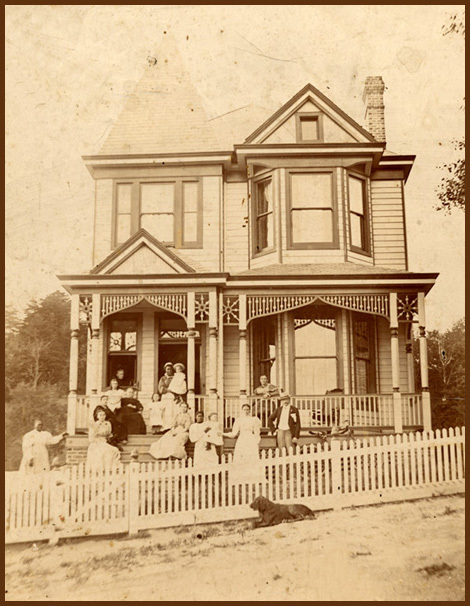 Powers and shared her home with her two aunts, Met and Lucy Powers; Mrs. J.P. (Susie) Blair, Susie's widowed mother; and Kate Stith, a teaching friend of Lucy Powers. The home contained an extensive collection of Powers family and Scottsville memorabilia. When Scottsville Museum was dedicated on July 4, 1970, Susie Blair became a member of the Museum board and brought a store house of artifacts and memories to share. Shown below is The Terrace today in 2001, looking very much the same as it did in 1897.